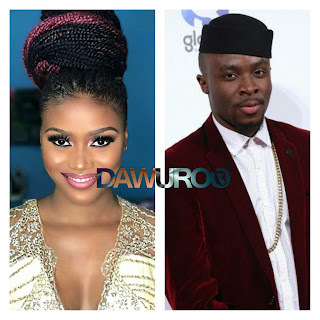 Songstress eShun and management recently accused Fuse ODG of giving them a contract which they described as a ‘rip-off’ and a bad deal. The musician during her recent interviews disclosed that they have complained to the ‘Antenna’ singer about the details of the agreement but he has given death ears to their plea which has delayed the song she together with Feli Nuna and Selasi recorded for ‘New Africa’ team. so we told him [Fuse] it isn’t right so we asked that some changes are done” eShun lamented on Hitz FM days back. But Fuse ODG responding to eShun’s displeasure about the contract on the same platform with Andy Dosty made it clear that she knows nothing about eShun’s case since she has not personally told him. “I wanna create a platform for other countries to listen to Ghanaian music. The idea is to have a different artiste on a song. I don’t know about [Eshun not happy with the contract]. The lawyer has to go through it and they get back to me”, he said. 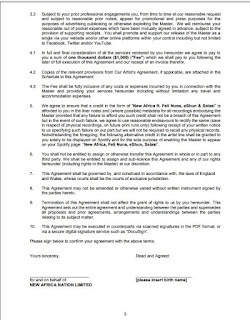 After several ranting on different media platforms about the deal, a copy of the contract believed to be the one Fuse ODG gave the three females on the single has been leaked. Dawuroo.com has the leaked contract and a part of it said eShun and each of the two female musicians would earn $1000, a section of the deal eShun’s management believes it is a rip-off.